"Daddy, Can I Have A PUPPY?" Sooner or later, every parent is likely to hear: "Please, can I have a puppy?" Rather than dodge the question, parents should consider whether their family is ready for a pet, says Sharon Bergen, senior vice president of education and training for Knowledge Learning Corporation, the nation's leading provider of early childhood care and education. Bergen suggests that parents weigh the pros and cons of adding a pet to the household before agreeing to a child's request. "A pet can teach children responsibility and become a wonderful addition to a family or it can be a burden," she says. Bergen recommends families consider the following before deciding. Who will care for the pet? Families should agree beforehand who will be responsible for feeding, walking, bathing and cleaning up after the pet. Do you have space for a pet? Families living in apartments or townhouses may prefer a cat, a bird or fish, rather than a Labrador retriever. Check the library or Internet to learn more about different types and breeds of pets to determine the one most suitable for your family. Owning a pet is time-consuming and may be expensive. Family members should realize that they may have to give up other activities to properly care for a pet. If the prospect seems too daunting, parents may suggest waiting until the child is old enough to help care for an animal. Bergen recommends the whole family meet the animal before deciding to take it home. Owning a pet is a long-term commitment, so think carefully before adopting a furry new family member. Is A RAW FOOD Diet Right For Your PIT BULL TERRIER Dog? Many Pit Bull owners are choosing to feed their pets a raw food diet rather than use the commercially formulated mass produced feeds. Others have never heard of the raw diet, also known as the bones and raw food diet, but are seeking more information about what this type of diet can offer their pet. The raw diet entails feeding your Pit Bull or other pet mainly raw meat and meaty bones. The raw meat diet also includes some vegetables be added in as well. Leafy greens mixed in with the raw meat helps give your Pit Bull a nutritional meal. As an added bonus, finely chopped garlic can be added as a natural way to give added protection against fleas. In the wild dogs are omnivores, which means they eat both meat and plant material. If you choose to try the raw diet, you’ll need to be sure and balance his diet by adding some vegetable material into each meal. Some owners who are fans of the raw diet like to add additional proteins like cottage cheese or eggs into the meat and veggie mixture. It has been reported that dogs on the raw diet tend to lead healthier lives. Proponents of the raw diet say that canine allergies, as well as dysplasia and a wide range of other canine ailments, are mainly due to the commercial dog foods with their non-meat proteins and additives. The commercial market has also been accused of using the grain content in their feed simply because they are cheap fillers, and aren’t there for the true benefit of the pet. Those who choose the raw diet also say that they feel they are giving their dog the diet that nature intended, and that commercial dog food kills any real benefits of the proteins in the cooking process. This, in turn, they say, can cause problems to the animal’s immune system and cause other health-related problems. Raw diet advocates also state that the commercial dog food makers put special additives into the food which makes the food more appealing to the dogs so they get addicted to the commercial foods. Of course, the commercial feed makers state that there’s no difference in cooking a dog’s food as there is to cooking a human’s food and that the nutritional value is still there. Commercial feed makers claim that dogs have very sensitive digestive systems and that the raw food diet can cause vomiting and diarrhea. As a responsible pet owner, it’s up to you to decide on how your Pit Bull gets his nutritional needs met. If you have concerns about your Pit Bull’s nutrition, or before you change your Pit Bull’s diet, talk to your veterinarian. Your veterinarian can give you more information on the raw diet, as well as recommend any changes which may need to be made. I remember dreading the day I found the perfect couch to go in our apartment. Binx was never particular with what he liked scratching on and I realised that if I bought this couch, that it would end up looking like a shredded pincushion in a matter of hours not days! Just moving into a new apartment (or having been there a long time) introducing your kitty to his new surroundings can be quite tough and you want to keep him inside for about a week to three weeks until you are satisfied that he is happy to know where home is and he is settled himself before deciding to let him outside. While he is inside for those ones to three weeks, if you are unfortunate enough not to be able to stay home and watch your kitty 24/7, you will likely to come home and find the couch has been attacked or worse, I used to come home and find the base of my bed had been attacked! Now declawing is definitely out of the option, the only other choice left was to look at is Cat Furniture for your kitty. For starters a cat scratcher especially if you have an indoor kitty! Now I was very wary how Binx would take to this new carpeted object sitting in the lounge, and it was quite lucky I had bought him a Cat Nip plant! Your kitty will probably go nutty over Cat Nip, but not all cats react the same way to it. If your kitty is not taking any notice of his new scratching pole and is still using your couch, break a couple of leaves off the Cat Nip plant and proceed to rub it all over the carpeted pole. It took a few days of sniffing for Binx to actually get any interest in the pole, but once your kitty gets the idea or if need be, show kitty how it should be used first, and praise him each time he uses it properly! Make sure the pole is secured down properly because it might topple onto kitty while he's using it, and it will just scare him off using the pole for good! I had ours wedged underneath the TV Cabinet and now the Coffee table and removed the bell attached to the top of the pole as it seemed to scare Binx everytime it jingled behind him! And guess what - He has not touched our new couch, ONCE! 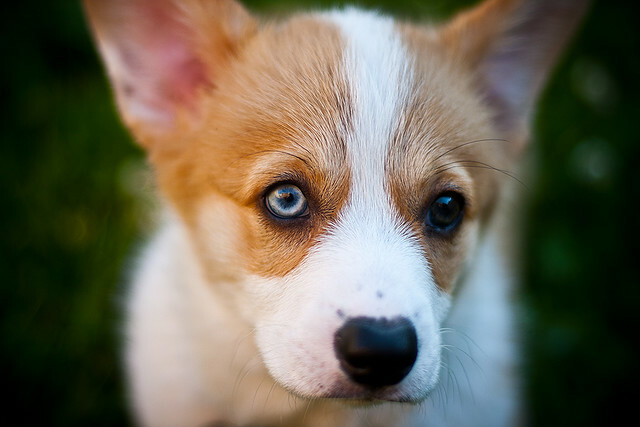 Introducing a puppy to your home can cause a lot of upheavals. You might need to move furniture and make your home dog-friendly, or just change your lifestyle to make sure you are available to exercise or feed your new pet when she needs it. A puppy is very much like a baby. They are cute and cuddly. They tug at your heart and you just have to give in to them. But, doing so will likely spoil that puppy into an annoying pet rather than a trusted friend. While the world of puppy can be a rewarding one, it can also be quite a nerve-wracking as well. Just like children, puppies need you to watch over them virtually all the time. They like to explore and they are likely to get into things that they shouldn’t. This can prove to be something that injures them or even poisons them, though. Puppies use their mouths to explore the world around them. If it has an interesting taste or texture, the dog is likely to keep at it. Now, if this is such a thing as an electrical cord, it can prove to be fatal to them. So, what do you do if you can’t be there all the time to watch your puppy? You can use baby gates as well as barriers of other types to block off dangerous areas to your pet. Put your pet in a welcoming area where you spend time in. Provide them with toys, water and a soft place to lie and they are set to go. Training for a pet begins from the time you allow them to enter your home. Experts agree that the first thing a puppy needs to learn is that you are the leader of the pack. You need the dog to understand that you are the boss. They instinctively look for a leader because dogs are pack animals. If you don’t take on this role, the animal will think that he is the leader instead. You don’t have to be aggressive at it though. Subtle things tell your puppy that you are in the leadership role. 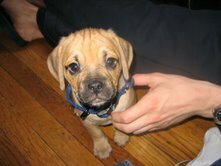 If you are harsh with the puppy, you will make them afraid of you and they will not be able to bond with you at that point. At a young age, you can teach your puppy to sit. To do this, simply put your hand on his chest and the other on his rump. Say the command ‘sit’ and push down on their rump and upon the chest. When she does it, praise her verbally and give her a treat. Keep practicing this with her. Whenever you give the dog its food, make her sit before you give it to her. This is a “nothing in life is free” technique. The dog learns that you are in charge and that to get his food he must obey you. Lastly, it is important to note that the best techniques for raising your animal are those that surround compassion, patience and love. It was recently reported that over 700,000 pets in the United States have had birthday parties thrown for them by their owners. This “pet party” trend has also taken off in other nations such as China, Japan, and England. If you were thinking of throwing a party for your pet (specifically your dog), here is a list of party safety guidelines to ensure that all of the party animals in attendance have a fun and safe time. This list is by no means fully comprehensive, but it gives you a good starting point for your pet party safety. You should always use your best judgment to determine if something is appropriate for your pet and the other pets in attendance at the party. - All dogs attending the party should have at least one person who the dog feels comfortable around present at the party. If a guardian for the dog is not able to attend your party, the dog should not attend either. Unless you feel comfortable enough with watching the dog yourself, you do not one to be held liable if something happens to the dog. - In case any of the dogs’ guardians do not bring waste bags for their dogs, make sure to have plenty on hand. This is especially true if the party is at a dog park or other public facility. Be sure to leave the location in the same condition that it was in prior to the party. - To avoid any potential scuffles between the party animals, only invite dogs that your dog already knows and feels comfortable with. If your best friend’s dog is sweet, but just doesn’t get along with your dog for some reason, it may be best to leave them off of the guest list. If you want to invite a dog who your dog has never met, set up a meeting between your dog and the other dog so that they can become acquainted before the party. Definitely, leave canine bullies off of the guest list. - If you plan to have an outdoor party at a dog park or in your backyard, make sure that you have a contingency plan in the event of bad weather. - In regards to the length of the party, you can plan the party for as long as you see fit, just keep in mind that dogs can become restless very easy. If you notice that many of the guests are getting cranky, don’t be afraid to end the party early. - Wherever you choose to have the party, make sure that it is safely enclosed and that there are no “cracks” that any of the party guests may be able to slip through. This is especially true for the smaller guests at the party. If your Rottweiler has started digging a hole under your fence in the backyard, make sure that the hole isn’t big enough for your friend’s Shih Tzu to crawl through. If you think that the whole may become problematic, fill the hole before you host your party. - At treat time, make sure that every puppy has his or her own treat. Also, allow each dog’s guardian to give the threat to their respective dog. - If you invite dogs that have not yet been spayed or neutered, make sure that you alert the parents of the other dogs at the party. Also, if you think that it is necessary, make sure that the parents of these dogs keep an especially close eye on their pet. - Make sure to only provide treats that are deemed safe for dogs. If you are unsure about the dog toxicity of any of the treats that you want to give out at your party, consult your veterinarian. Also, it is a good idea to talk with the owners of the dog party guests beforehand to check if their dog is allergic to a particular food or ingredient. Can it be possible? I, as an owner, breeding Persians and exotics, pose myself such a problem quite recently. Of, course they exist, if to see from the genetic point of view. These colors are included into standard, there is their description, but... Where are they? By all accounts from abroad, they have such animals but for some reason, they are more often met in pedigrees of British cats as experimental partners for leading new color into the breed, but not like exhibition stars. It had to spend lots of time to answer the question: "What is the real situation with Lilac and Chocolate in the Persian group?" The paradox came to light at once: there is enough big number of Points with Chocolate and Lilac masques and practically full absence of equally colored individuals. Probably, the fashion played its role in it. After all, from the genetic point of view Lilac-Point color is more difficult in receiving than, for example, Chocolate Solid (solid-monochromatic, "firm" color). Now, thanks to fashion's jokes, selections are forced to a word for word takeout Chocolate and Lilac either from Solid-carriers CRC (carriers of Color-Point gene) or to work simpliciter with color lines, making copulations Solids (moreover it is desirable of stronger type) with Colors and further interbreeding on the Color parents. Such copulations are made for a long time, but a purposeful selection is begun recently in this direction. This is JUKI in Poland. It is world-famous nursery. But again they have Chocolate and Lilac not like purpose of selection, but like a side effect of Color-Points' breeding of modern type. This is Smaragd in Estonia, which specializes in Persian and Exotic cats of Lilac color and uses in the work cats from JUKI and Finnish nurseries. Lilac cat of strong type, reached high victories by FIFE system. Pedigree program of the nursery is various and includes copulations with Chocolate sires. This is Tair Polling in Ukraine, using also bloods of JUKI, but specializing, vice versa, only in Chocolates and Tabbys. You can see first kittens from this oldest Kharkov nursery in Moscow. This is club Irbis (FIFE) in Krasnodar, working at the Colors' bloods and carriers of Chocolate. Today the nursery Rarity of one sire, cat of Lilac color. Now you can see the first Lilac prosterity of show-quality. The nursery Kelisa in Sochi is the nursery of Chocolate Persians. Prosterity of the same type, thought-out pedigree program. The nursery plans the receiving of Lilac Exots and the perfection of the type. Several animals of Chocolate color appeared in Russia and Ukraine, but you can't see the result of breeding yet. Or these cats still too young, or the pedigree program is not thought out, giving a soon result. Chocolate Exot of Kharkov bloods lives in Saint Petersburg (owner is Orlova S.), also the city on Neva can boast of Chocolate Color-Point, imported from Poland, one more Exot from Kharkov is purchased by the nursery Dimarsh (Moscow). There are animals of modern type in Perm and Voronezh, but because of their remoteness from the capital or passivity of the owners we have a few information about them. The nursery Alexander-Fred (Moscow) has three Chocolate Persian cats ( of different blood lines), one Chocolate Exot, Chocolate Cream cat, and also several cats-carriers of chocolate gene. The nursery plans the receiving of Chocolate and Lilac Bicolor cats. The nursery leads common pedigree program with Kelisa (Sochi). Several enthusiasts in Moscow started the breeding of Chocolate and Lilac Persians, but probably they either didn't have enough means to purchase interesting sires or purposefully decided to go all the way of coming-into-being of animals' type, who originally received chocolate color by the way of interbreeding. It is necessary to understand genetic appropriateness of these colors to know the rules of breeding and receiving of Lilacs and Chocolates. 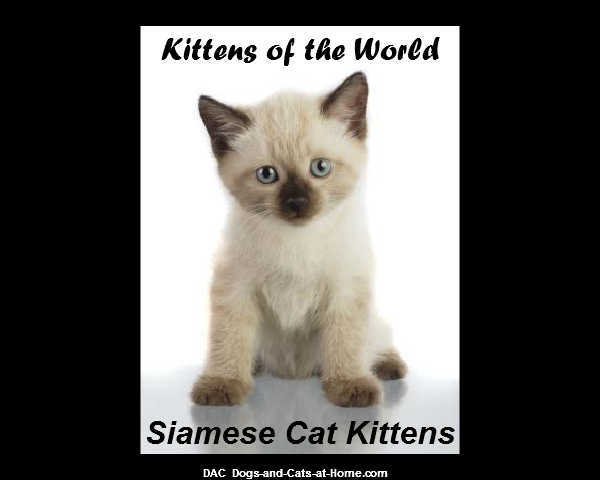 Gene of siamese color is interesting by opportunity to receive the posterity with siamese marks, including blue, chocolate and lilac colors (in the presence of genes of clarification and chocolate color at the same time). Presence of given genes can define, studied the pedigree of sire or in practice, choosing partners with known genetics. But to receive the color, close to ideal, it is necessary to keep to the rule - to pair similar with similar. The main requirement for the quality of lilac and chocolate color is their tender, warm tone. These colors go well together, but as possible partners, it is allowed to choose cats of Red, Cream colors, who give their Lilac and Chocolate progeny pinkish tint of hair and bright eye color. To Lilac and Chocolate Tabbys can be recommended Golden Tabbys as possible partners or improvers of type. A peculiarity of today's situation in Chocolate breeding of Persian is that the task to get rid of the Siamese gene became the purpose of the selections. At the first stage of the work, it comes to the leading this gene into the recessive state. In the future, numerous copulations of Chocolates and Lilacs 'inside them' will allow to clear up the color gene of the population. It would seem that there is nothing simpler to pair Lilac-Point with Red cat, and then interbreed littermates between each other. But the question of the type stands the most sharply in Persians than in other breeds. That's why such way is inconvenient - doing the step forward, it has to do two steps back. What we have to do? Very often animals of black color, especially in extreme breeds are the carriers of the strongest, modern type, that's why they are used as improvers in the breeding of animals of different colors such as Points, Smokes, Bicolors and even Chinchillas. That's why it is appropriate to attract exactly them (or Tortoiseshell cats, received from black, high-class sires) to the chocolate program. Color: All colors of brown are accepted, without rust, white hairs or picture. Without grey undercoat, the color must be equal. Color: Color of hair is pale lilac with light pink shimmer, without white hairs or picture. Without grey undercoat, the color must be equal. Today the interest to the rare Persian colors increases. That's why I hope that very soon we can often see the rarest and the most mysterious Chocolates and Lilacs on the shows! Golden Retrievers are a medium to medium/large dog breed. They reach a height between 20” to 24”. If a Golden Retriever could speak, they might say, “What can I do for you?” They are born people pleasers from hunting to tricks to a family pet. The Golden Retriever is AKC recognized with coat color in varying shades of golden or cream with gold throughout the coat. They get their name, of course, from the color of their coat. 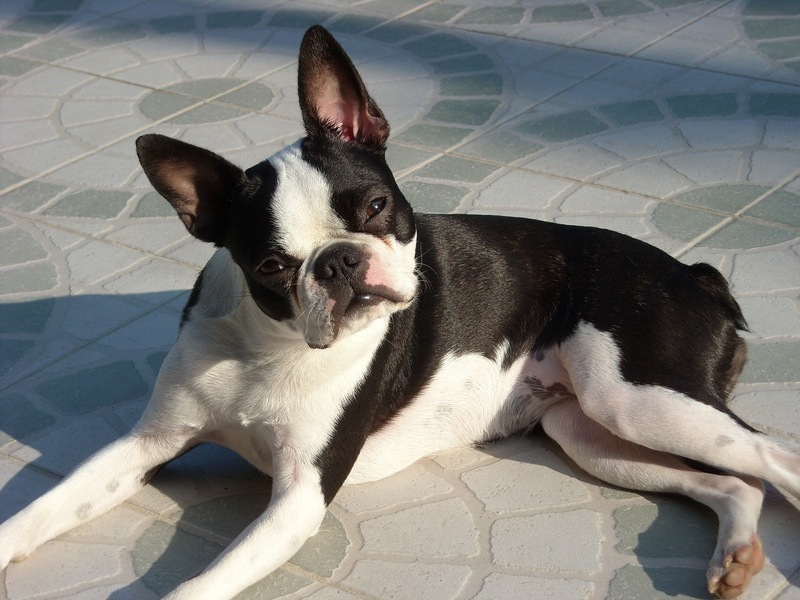 They have a medium length, water-repellent outer coat and a dense undercoat. Their coat is feathered. They require daily brushing to prevent knots and they only need occasional dry shampoo. You should only give them a wet bath if necessary. Exercise and playful outside and calm indoors, the Golden Retriever is considered to be one of the best large dog breeds to have as a family pet. They are great with children and other dogs. Early socialization is recommended for birds and small non-canine pets because of their hunting history but they tend to get along with other animals as well. They are extremely easy to train, even for the dog novice. They love to learn and they are fast learners. They are best for active families as they need daily time to run and roam outdoors. If you are looking for an excellent hunting companion, the Golden Retriever is an awesome hunting dog. Originating in the mid-1800s, some sources state England as their country of origin and others state Scotland as their county of origin. Lord Tweedmouth at Inverness-Shire, Scotland is said to have extensive records that show he developed the breed. Their ancestry includes the Water Spaniel, Retrievers, Setters and a Bloodhound. They were mainly used for hunting and retrieving and have an excellent sense of smell. They also make excellent therapy and guide dogs. 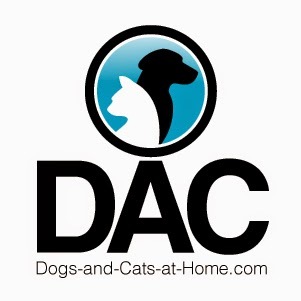 If you are in search of a large dog that is sweet, calm and affectionate and will be good with families that include other dogs or small children, it is hard to find a more pleasing, gentle large family dog. Exercise and play are important in their daily activities, but they will be just as happy relaxing inside with you at night. Military dogs are no ordinary dogs; they are not the regular dog breeds that one is used to at any given moment. They usually are highly trained dogs that are used in combat. Their functions vary from carrying equipment to the first-line attack; some are even used as spies as they can detect the enemy from afar without causing any suspicion. 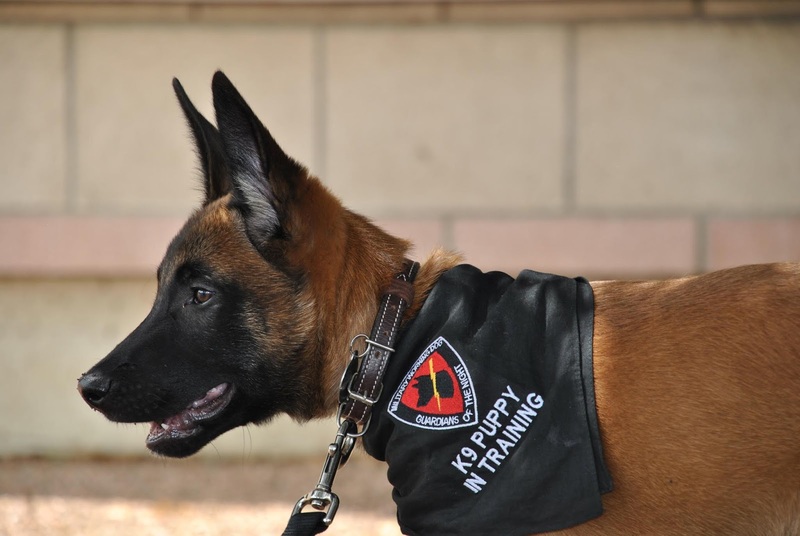 These traits make the military dog adoption a very suitable companion for military personnel nut when their time comes to be laid off service what next for them? As initially mentioned the military that we know is some protocol and order and in this case, once the dogs are done with their service, there is some protocol to be followed in the case of adoption of these dogs. They are put up for these programs within the force and if none is interested in these dogs then they usually are put up for these services to other government institutes and if by any chance there are still some dogs left then they are set up for adoption to the ex-servicemen as they have the skill of handling them and finally the general public may take up the last dogs. Before a military dog is put up for this, a number of factors are considered before its released to the public. One of the main factors in place is the level of aggression on the dog. Highly aggressive dogs are rarely placed for these services because in many cases they cause more harm than good to the general public. In many instances, they are waylaid as they usually are not suitable for the general public. The level of dependency also determines the release of a dog for adoption. The highly dependent dogs are more likely to be killed or remain in service as they may be trouble for the handlers. The very skilled dogs are also highly dependent as they need constant commands from the owners and the other injured dogs also need constant supervision. The breed of the dog also highly determines at what age and level they will be put up for adoption, in some cases some dogs are put up for earlier in this program than others due to their expected lifespan. The breed and species dictate how the dog fairs on with life as after a certain period of living it becomes more of a burden than an advantage. Some combat dogs are adopted at a very early in their life. Not because they do not suite the job but because of their intelligence. They portrayed a high level of intelligence and in most cases, they are put aside for adoption solely for breeding purposes as this line of genes should be passed on to the future generations. Many of the dogs that are ex-military still have not fully lived their expected lifespan as they were intended to thus putting them up for adoption gives them a second chance to life and by nature the loyal nature of these dogs makes them very suitable partners as they are used to following commands as one should only know what triggers their reactions. An adoption is an option that almost all dogs in the forces should be given since they all get that new start away from their norms of life. As a result, they also help in saving the lives of many. Learn more about the retired military dog adoption process and get more information about the Mine & Explosive Detection Angel Paws organization at http://www.mddeddangelsrescue.com now. 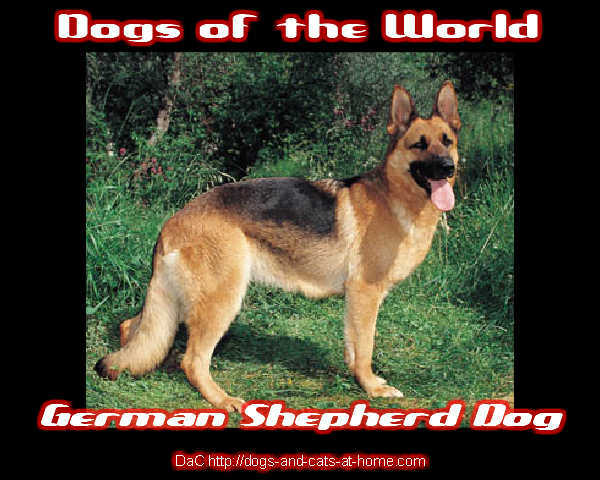 Dogs called German Shepherds were first exhibited at shows in Germany towards the end of the nineteenth century but they were hardly Shepherds as we know them today is rough coated, short-tailed and rather resembling mongrels. The German Shepherd Dog as we now know it didn't really appear until after the Second World War. The breed has grown enormously in popularity and is now one of the most popular pedigree breeds in the UK as a pet, it is still the favourite working breed for many forces especially the police and they are widely used for security purposes. It is a fine sight to see a well-trained GSD with his handler, working well to serve and protect. Unfortunately one of the saddest sites is the poor GSD used to guard premises often chained up alone in some dismal filthy yard with a lifetime of incarceration and little stimulation to look forward to. The German Shepherd is a highly intelligent beast who will show undying devotion to his master but he is a dog that needs company and stimulation to be at his best. If you are thinking of buying a German Shepherd as a pet and you have not previously owned one, it is important to research the breed and talk to experienced owners so that you fully understand what you are taking on. GSD's do indeed make wonderful family pets but it is important to remember that this is a working breed and that they do have certain characteristics that can make them more difficult than your average Retriever, Labrador or Collie. The characteristics of a good working GSD should be firmness of nerve, attentiveness, unshockability, tractability, watchfulness, reliability, and incorruptibility together with courage tenacity and hardness. A German Shepherd is naturally protective and territorial which is something to bear in mind if you have lots of visitors to your house when careful introduction may be required to assure your pet that the visitor is not a threat to his family. This is also a breed that requires a lot of time, stimulation, training and exercise - you will never wear them out, they will always be ready for more. A bored, lonely GSD can be very destructive and can cause an awful lot of damage to property in a short space of time. Perhaps some of the less endearing traits of this breed are the tendency to be very vocal which can be a big nuisance and may be a problem with neighbours. They also shed hair in copious amounts all year round so your vacuum cleaner will work overtime and it's unlikely that your clothes and furnishings will ever be free of dogs hairs again as well as what you are eating invariably being contaminated with that stray hairs. The biggest problem with the German Shepherd Dog is the fact that to a large extent the breed is being spoilt by irresponsible breeding by inexperienced back street breeders who care nothing about preserving the breed but only about making money from the selling of puppies, Health and temperament problems are all too common, so it is important to take expert advice and try and find a reputable source if you are contemplating buying a puppy. Consider first taking on a rescue German Shepherd Dog from a reputable rescue that should be able to give you a good assessment of a particular dog. Remember too that an older GSD will be a very rewarding addition to the family and will be housetrained, won't chew, well behaved, probably require less exercise than a young dog and will be very loyal and grateful.